Nestled within eye-catching red sandstone formations and straddling the Coconino and Yavapai county lines, Sedona has been described as an intensely spiritual place to visit. The area attracts artists, holistic healers, day-trippers, and adventure seekers who run around town to explore incredible landscapes and jaw-dropping vistas, and restaurants in Sedona strive to elevate the experience by serving up delectable fare. 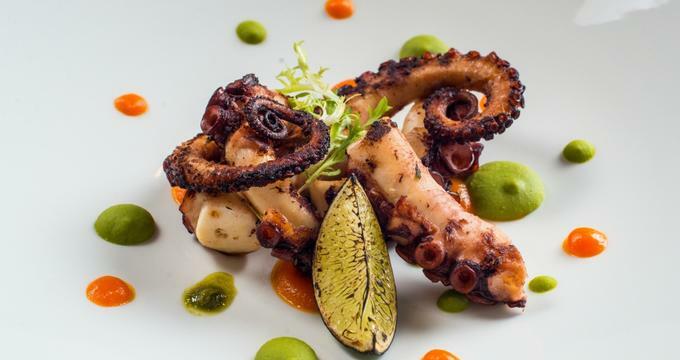 From the minds that brought you delicious Italian food at Dahl & DiLuca, Chef Lisa Dahl is back with another restaurant to wow your taste buds at Mariposa Latin Inspired Grill. 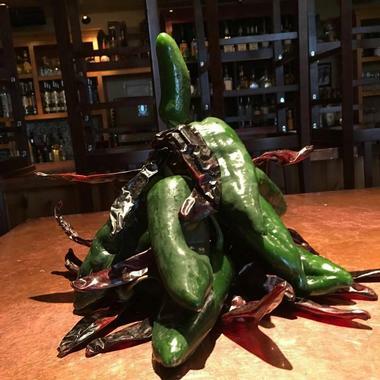 Created with the intention to share the best food possible to all of their guests, Mariposa offers diners an amazing view in Sedona along with top notch service and mouthwatering fare all in one fell swoop. Chef Lisa Dahl pours her soul into every dish at this restaurant, eager to take every diner on a unique gastronomical journey. The Latin cuisine of Mariposa sends guests directly to Latin America with a carefully crafted menu. Don't miss out on the unbeatable selection of the Tapas Menu or the Gauco Bar, which opens at four in the afternoon daily. One of the favorites in the restaurant is the juicy and tender Tomahawk for Two Prix Fixe, which is enough to send any self-respecting beef lover to the moon and back. On the hunt for high end Italian fare at an affordable price? Bella Vista Ristorante is the place to go in Sedona as they serve up spectacular dishes guaranteed to satiate and stun even the most refined palettes in the world. The restaurant itself is classically Italian in its aesthetic with cozy nooks, an indoor fireplace, and an outdoor patio that allows guests to enjoy the spectacular view alongside the delicious food. 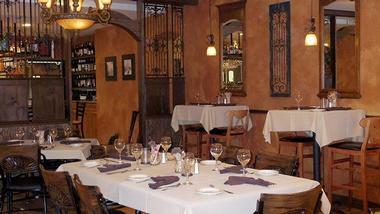 Bella Vita transports all of its guests to old-world Italy through its cuisine. Whether you're keen on making a great first impression on a first date or bonding with your family over a great meal, Bella Vita is a great option to keep in mind. Opt for favorites like the Rigatoni Napoli, Pasta Primavera, or Linguine Veraci, or you can choose a heartier entrée like the Filetto di Manzo or Vitella Parmigiana. Celebrating a special occasion? Bella Vita has an extensive drinks menu for every occasion. 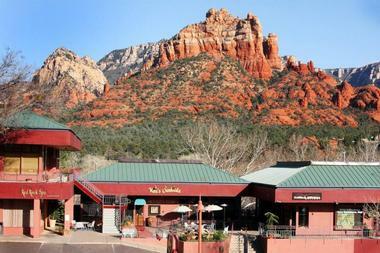 Serving hungry diners in Sedona since 2008, the Creekside American Bistro is known for gorgeous views of Oak Creek, which it overlooks, and its gorgeous food. The bistro offers an exciting menu that changes with the seasons and unbeatable views from their two Red Rock view patios. With Chef Mercer Mohr at the helm of the Creekside American Bistro, all guests are in for a treat no matter when they are visiting. For breakfast, some favorites include the Sonoran Breakfast Burrito, Eggs on Toast, the All American Breakfast and the Pork Belly Breakfast. Meanwhile, best-selling lunch options include the Steak Caprese, Host Pastrami on Marble Rye, and the Mercer's Crab Cake Lunch. Dinner guests can dine on divine options like the Seared Scallops and Pork Belly, Duck Confit, and Apple Braised Short Ribs. There's something for every eating style at Café Paleo Brio. 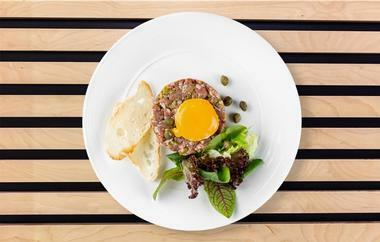 Catering to vegetarians, vegans, meat lovers, and people who simply want to eat healthy, Café Paleo Brio's menu is constantly evolving as Executive Chef Kevin Roberts and Sous Chef Gregory Carpenter bend and blur the rules of cooking. The result is an explosive menu featuring bold flavors and playful presentation along with local and regional produce. Guests are encouraged to come to Café Paleo Brio with friends and empty stomachs. Some guest favorites include the Bison Burger, Over Easy Eggs cooked in Avocado Oil and served with Sweet Potato Hash, and Nitrate-Free Bacon and a Mountain Man Brat. Frequent visitors to the café are also fans of the keto and paleo meals on offer. It's all about eating to live and nourishing yourself at the Chocola Tree Organic Eatery. They take a holistic approach to cooking, and every item prepared is made in house with fresh whole foods. The Chocola Tree Organic Eater also takes immense pride in using ingredients that are completely organic, gluten free, and non-GMO. 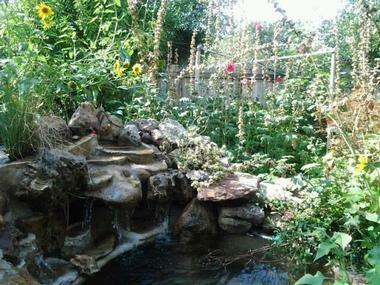 The menu consists of vegetarian cuisine with vegan and raw options available. Putting great attention to detail on every part of the food, the kitchen of the Chocola Tree makes use of only coconut oil or Ayurveda ghee and germinates their seeds, legumes, and nuts in pure artesian water only. Start your meal with a refreshing beverage like the Spiced Chai or Ginger Lemonade before digging into dishes like the Kefir Parfait, Sweet Corn Uttapamitas, or the Avocado Herb Sandwich. The eatery also offers more hearty options like Saag Paneer, Papas Potato Soup, and 3 Bean Chili for guests with a more voracious appetite. Don't forget to sample of the eateries Ayurveda Elixir Shots and “Upliftment” Shots for a wholesome pick-me-up. 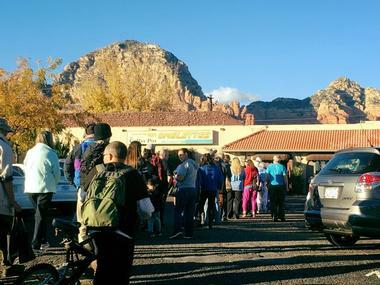 Named after the coffee pot shaped red rock that stands as their backdrop, the Coffee Pot Restaurant is one of the most popular places to eat in Red Rock Country. People love the restaurant's large portions, quick service, and affordable prices, and let's not forget the 101 Omelets that the restaurant is so famous for. 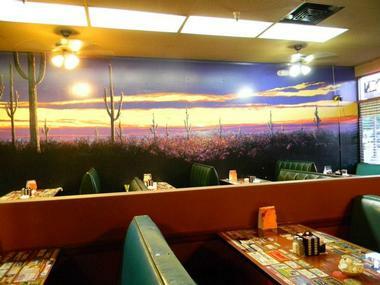 As the top breakfast spot in Sedona, Coffee Pot Restaurant offers all the classics like Eggs Benedict, Huevos Rancheros, Belgian Waffles, and the good old Breakfast Burrito. The Coffee Pot Restaurant offers Bloody Marys and Mimosas from their full-service bar along with their lunch service, which officially starts at 11:00am. Try one of their Red Rock Lunch Specials like the Hamburger Steak, Meat Loaf, or Roast Breast of Turkey for a great afternoon meal. When it comes to outrageously delicious high desert food, there's no other place in Sedona to go except the Cowboy Club. The restaurant was established in 1946 as the Oak Creek Tavern, and it served as the center of town. By the 1960s, the tavern was legendary with famous guests like John Wayne and George Montgomery visiting the Oak Creek Tavern. 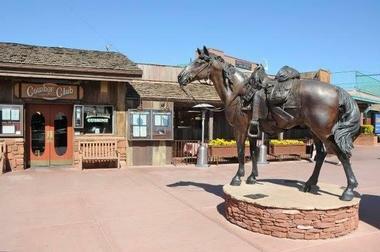 Today, the spirit of the tavern remains at the Cowboy Club. Exuding the traditions and hospitality of the Old West, the Cowboy Club is a blend of history and delicious High Desert food. The Cowboy Club has a simple mission when it comes to their food, which is to serve delicious and affordable dishes that will keep guests coming back. So far, they've been very successful with amazing appetizers like Cactus Fries and Homemade Cornbread with Honey Chipotle Butter, Diamondback Rattlesnake, and Buffalo Brochettes. The Cowboy Club also has Wild Came like all-natural buffalo and elk hand cut daily for adventurous eaters. 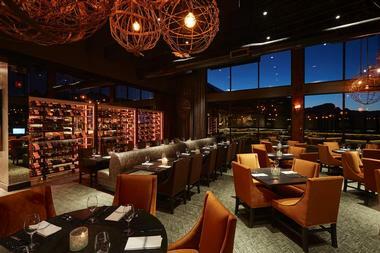 Delivering a fresh take on regional cuisine, SaltRock Kitchen exudes charm and fun in signature Sedona-style. 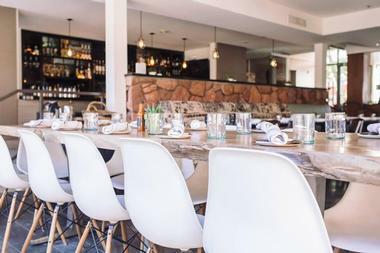 With Chef Robert Hoffman at the helm of the restaurant, SaltRock Kitchen dishes up food that honors the foodie traditions of the Southwest while marrying it with Californian culinary influences. The restaurant also takes great care in using seasonal ingredients found in Arizona's Verde Valley when creating their meals. Sit back and relax at the restaurant's dining room or outdoor patio while savoring authentic flavors and a view of Sedona's famous red rocks. Some dishes to try at SaltRock Kitchen include the Seasonal Seafood Aguachile, Grilled Octopus, and Roasted Corn Soup. The Guacamole Kit is definitely a crowd pleaser, while entrees like the Braised Osso Buco and Roasted Salmon will please even the most sophisticated of palettes. 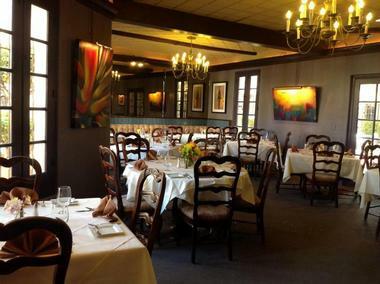 From decadent catering for grand affairs to meals for intimate gatherings, Dahl and Di Luca Ristorante Italiano is the perfect choice for fine dining in the heart of Sedona. Chef Lisa Dahl strives to create a memorable dining experience for each and every guest through the restaurant's atmosphere and cuisine. Through her leadership, the restaurant measures its success by the number of times the guests return and maintains a long standing reputation built over two decades of consistent quality food and service. Dahl and Di Luca reinvents and refreshes its food and ambience regularly to make sure that the restaurant stays at the top of its game. They honor a farm-to-table motto and using only organic products, and some dishes to try at Dahl and Di Luca include the Warm Seafood Bruschetta, Siciliana Cozze, Tortellini della Nonna, Lisa's Luscious Lasagna, and the Angello Scottadito. The food at Elote Café is best described as inspired by the markets of Mexico. With full bodied flavor and incredible presentation, the gastronomic experience at Elote Café is on a whole new level. The Elote Café focuses on modern Mexican and Southwestern cuisine that combines authentic elements with a refreshingly new take. Owned and operated by Jeff Smedstad, Elote boasts cuisine that is the culmination of over 20 years of travel across Arizona, Veracruz, Puebla, and Oaxaca. With one of the top ten most jaw dropping views in Arizona, the Hideaway House is a treat to visit in gorgeous red rock locale of Sedona. 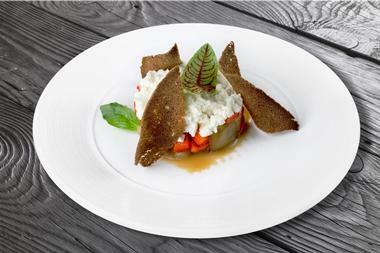 The restaurant takes pride in throwing the rules of cuisine out the window and serving Italian food on their own terms. In fact, the only thing the Hideaway House thinks is ultra-important is to make sure every guest is comfortable and very well fed. When visiting the Hideaway House, starting your meal off with a delicious appetizer is always a good idea. Try the Roasted Vegetable and Polenta Tower or sink your teeth into the Garlic Cheese Bread Blossom. The Roasted Tomato Crustini and Strawberry Basel Crustini are equally delicious. For your main, go for one of the specialty pizzas like the Blanco Classico or the Ciao Amore. Meanwhile, entrees like the Meatloaf Italiano and Brick Chicken are sure to please. 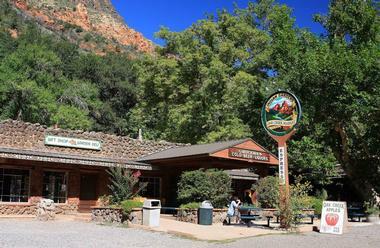 Nestled in the gorgeous Oak Creek Canyon, Garland's Indian Gardens Café and Market is steeped in history and has become a veritable landmark in the area since it was first opened in 1947. This establishment wears many hats as it continues to evolve to meet the needs of the community; it is the general store, gas station, ice cream parlor, and antique shop to name a few, but mostly, it's a great place for residents and guests to gather for a spectacular meal. The Indian Gardens' menu evolves with the seasons, but the favorites will forever remain the same. Some of the best-selling small plates include the Green Chile Mac-N-Cheese and the Cheese Board, which features a selection of artisan cheese, olive mixes, dried fruit and house-baked organic sourdough. The main draw of the café are the incredible sandwiches. Turkey fan? Try to the Gobbler, which features smoked turkey breast, avocado, local organic sprouts, provolone, tomato, and pesto mayo on sourdough. Other options include the Garden Pita, Ferrari, and Bacon and Brie Melt. 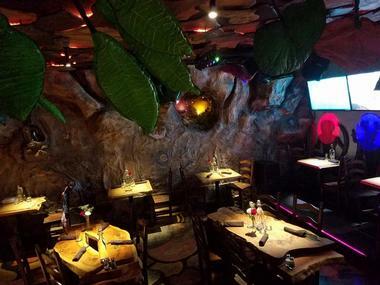 Enjoy a taste of Mexico coupled with stunning views of Sedona at the Javelina Cantina. Whether you're dining with your significant other or coming with a large group, the cantina is more than capable of satisfying your cravings with daily special offerings and a daily happy hour. 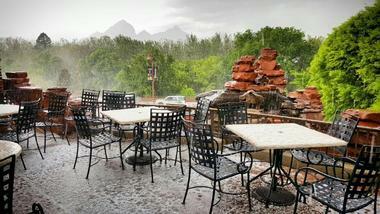 Choose to dine inside at the beautiful glass indoor deck or take in all that Sedona has to offer at the outside patio. With a certificate of excellence from TripAdvisor, you can be certain that a meal here will be memorable. Javelina Cantina's menu has something for every diner. House specials are definitely crowd pleasers. Try the Chile Relleno Platter, Pork Carnitas, or the Fajita Chimichanga for some delicious Mexican flavors or tuck into seafood offerings like the Rocky Point Fish Tacos, Blackened Grilled Catfish Relleno, or the Salmon Tostada. There are also dozens of classic tacos, tostadas, burritos, chimichangas, and enchiladas to choose from. A Sedona hometown favorite for over 30 years, Judi's Restaurant and Lounge makes everything in house, even the ice cream. Though Judi is now gone, her spirit lives on in the restaurant through Gary and Alice Simmons who took over the restaurant in 2013 with Judi's guidance. The restaurant has a homey and cozy feel, as if you're visiting your grandmother's house for a family meal. Each dish that leaves the kitchen is filled with utmost care and passion to ensure the satisfaction of every guest. The lunch entrees offer fresh baked bread for delicious sandwiches and crisp refreshing salads plus award-winning burgers, while the dinner menu is packed with famous house favorites like the BBQ Baby Back Ribs, Greek Shrimp and Scallops, Cold Water Canadian Lobster Tail, and Lamb Shank. Succulent steaks like the Bacon Wrapped Filet and Prime Rib are definite must haves, and the homemade desserts are absolutely to die for. 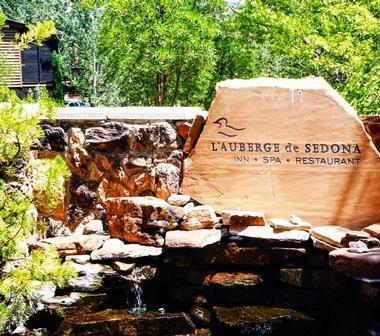 Dining at L'Auberge is like stepping into a fairy tale book for a magnificent feast with the gorgeous nature of Northern Arizona as your backdrop. Sitting on the banks of Oak Creek, L'Auberge has been recognized as “One of the Top Ten Restaurants in the Southwest” by Condé Nast Traveler as well as one of the “Top 100 Al Fresco Dining” establishments in the United States by Open Table. Truly, the setting of L'Auberge is incredibly beautiful, and the food is so pristinely put together that it quite possibly exceeds the beauty of its surroundings. The cuisine at L'Auberge is inspired by the local and regional produce that is organically grown. With freshness and sustainability at the heart of L'Auberge's food, only seasonal ingredients are used in every dish, which results in a menu that is constantly evolving. The restaurant serves dinner exclusively with patrons having the choice between a three, four or six course meal. 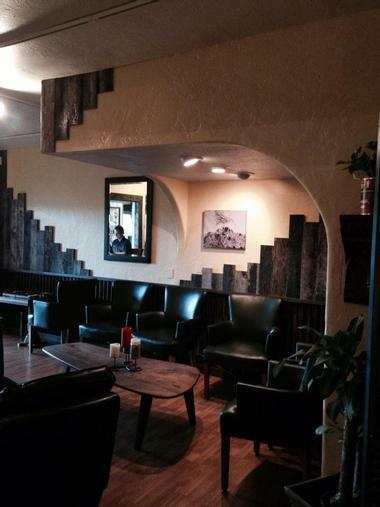 Sedona Café Jose has been cooking up authentic Mexican-American cuisine for over 10 years. Family operated, the Sedona Café Jose sticks to their roots and puts tons of effort into every home-made breakfast, lunch and dinner entrée that leaves their kitchen. The café also has fantastic margaritas and a great selection of beer and wine to go with their mouthwatering food. Each dish is made with love and passion at Sedona Café Jose. Some of the all-time favorites for breakfast include the Huevos Rancheros, Sweet Potato Pancakes, and Built-Your-Own Breakfast Burrito. Meanwhile, guests at the café for lunch should try crowd pleasers like the Torta Cubana, the Sedona Burger, and the Homemade Soup and Half Sandwich. Meanwhile, dinner favorites are the Country Fried Steak, Pork en Adobo Tacos Platter, and the Chicken Piccata. Known all around town for the great food, incredible atmosphere, and attentive staff, Nick's on the West Side is largely recognized for being the joint that locals love to go to for a quality meal. They specialize in authentic Mexican dishes while also offering American sandwiches and breakfasts classic in the Southwest. Let's not forget the succulent steaks and tender ribs that fall straight off the bone. When dining at Nick's, locals will be the first to recommend feasting on All-You-Can-Eat specials that differ per day. Breakfast lovers will also be happy to know that the breakfast menu at Nick's is available all day while kids are bound to gaga over the great kid's menu. Ready to dine on some tender protein? Go for the roasted meats that are slow-cooked in Nick's 500-pound rotisserie oven. Make sure to snag one of the delicious cinnamon rolls or homemade desserts that are all handmade by Nick himself. A family-run restaurant deep in the heart of Sedona, Outlaw Grill has a no-frills approach to their food. In fact, the approach is simple: serve delicious food while showcasing the beauty of Arizona in the restaurant's setting. 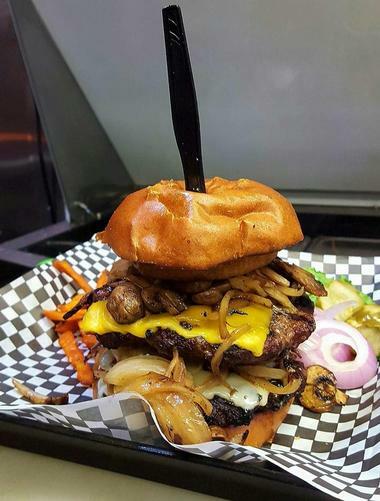 At the Outlaw Grill, the staff delight in serving delicious food made from fresh ingredients of unbeatable quality. Whether you're dropping by for a crisp salad or one of the grill's juicy and well-balanced burgers, you can look forward to reasonable prices and a great time. There's no doubt that a visit to the Outlaw Grill should always include an order of their specialty dish - their award-winning baby back pork ribs. The racks are massaged with a secret rub and slow roasted before they're finished on the grill and slathered with the Outlaw Grill's homemade BBQ sauce. Both the full and half racks are served with perfectly crisp French fries and slaw. Other great options include the Piggy Wings, the Cajun Chicken Caesar Salad, and any one of the grill's half-pound burgers. 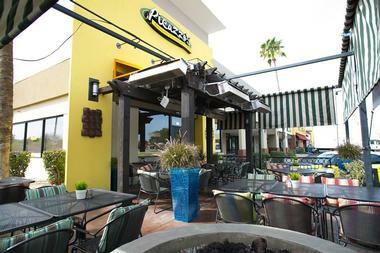 With 12 fruitful years in the food industry and multiple branches in Arizona, Picazzo's Organic Italian Kitchen has gone from humble beginnings as a pizzeria to a unique and refined gluten-free restaurant with artfully handcrafted dishes. The transformation in Picazzo's stems from their belief that health and wellness is tied to eating food that is as clean as possible. With that in mind, PIcazzo's has transformed their delicious pizza into even more delectable Italian creations that are 100% gluten-free. Visitors to Picazzo's can choose between organic original and whole-grain for pizza dough. Meanwhile, all of the other ingredients of Picazzo's dishes are made with premium ingredients that are, as much as possible, organic and non-GMO. Meanwhile, the chefs but great care into sourcing meat and cheese that are nitrate, antibiotic, RBST, and hormone free. At Pisa Lisa, every bite of their incredible pizza, down to the rim of the crust, is so heavenly that there's no way you'll want to put your slice down. The success of Pisa Lisa, a pizzeria in the heart of Sedona, is the commitment to food that owner and chef Lisa Dahl has. As the owner of two other incredibly successful restaurants in Sedona, Lisa ensures that each and every guest at Pisa Lisa leaves with new foodie memories that will last them a lifetime. Lisa's long standing culinary reputation is put to the test and emerges triumphant at this authentic pizzeria. Open from Monday to Sunday, Pisa Lisa cooks all their pizzas in a wood fired oven. As one of the top authentic pizza experiences in Verde Valley, Pisa Lisa showcases an amazing crust in each of the ultra-thin and delicate pizza that leave her kitchen. First timers at Pisa Lisa should try favorites like the Semplice, Melanzane Parmigiana, and Da Bambini. Tapas plates, paninis, and hand tossed salads are also available on Pisa Lisa's menu. Situated in the Tlaquepaque Arts and Crafts Village in Sedona, Rene's has enjoyed over 35 years of success in the restaurant business with local guests, tourists, and celebrities alike coming from near and far to dine on their fantastic food. The restaurant exudes a casual elegance that complements the stunning food - there is a Mexican courtyard and bubbling fountains within the vicinity. Beautiful ancient sycamore trees are also scattered throughout the property to provide some welcome shade and a nice touch of Mother Nature. Rene's has three separate menus: the lunch, dinner, and lite menu. Each menu features its own range of crowd pleasers and chef recommendations. Some must-try dishes include the Escargot, Quail Stuffed with Wild Rice, Buffalo Tenderloin, Seared Scallops, and Tenderloin of Antelope. Meanwhile, artisanal cheese and flambé specialties prepared tableside are the perfect way to end a meal at Rene's. For many foodies across the globe, there's not much that beats a cheesy slice of pizza, and for the pizza lovers of Sedona, one of the best spots to grab that perfect slice is at the Sedona Pizza Company. Located in the uptown area, the Sedona Pizza Company features an indoor and outdoor dining concept that caters to travelers, couples, and families alike. 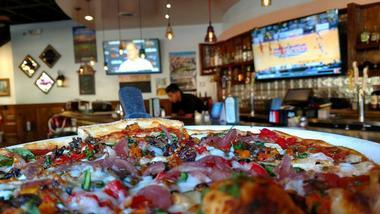 One visit to the Sedona Pizza Company takes all visitors on gastronomic adventure. 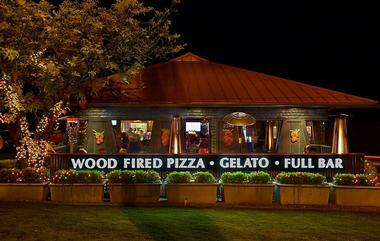 All of the pizzas at this restaurant are cooked in a hand-built oven from Naples, Italy. Meanwhile, the Sedona Pizza Company makes a point to use only the best Italian San Marzano tomatoes, imported olive oil, and authentic Italian Caputo flour to make their pizza. Sink your teeth into any of the eight kinds of pizza the restaurant has on offer, including the Bianco, the Four Cheese, and the Buttero. Featuring authentic and time-tested recipes, Tamaliza Market is home to some of the best gourmet tamales in Sedona. The restaurant is owned and run by a Mexican chef, Claudia, and the recipes used in Tamaliza Market have been passed on through generations of great cooks. In addition to serving up delicious and authentic Mexican food made with great passion, Tamaliza Market also goes the extra mile by using organic and non-GMO ingredients. 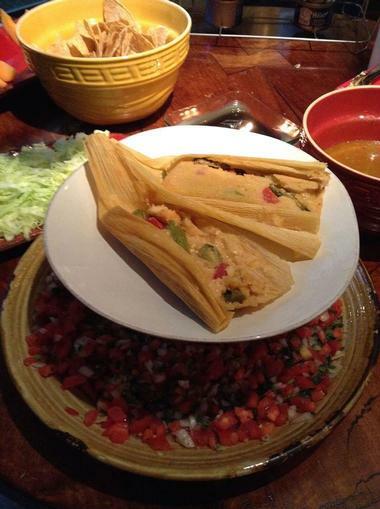 All of Tamaliza Market's tamales are made fresh daily using organic corn flour masa. Some of the best sellers include the Tamale Supreme, which is topped with homemade black beans, fresh spinach, cheese, pico de gallo, sour cream and salsa, and the gourmet meat tamales. Another must try at Tamaliza Market are their Traditional Chile Rellenos, which features a poblano pepper stuffed with cotija cheese then served with shredded cheese, sour cream, pico de gallo, and tomato juice. Established in the spring of 2015, the Hudson is the culmination of the collective vision of Mark and Lisa Shugrue who conceived of a local neighbor restaurant that was both upscale and casual. 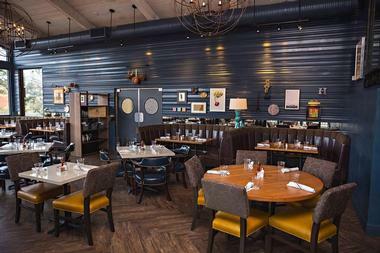 As an American eatery, the Hudson serves lunch and dinner guests with a menu that is well curated and chef driven. Pairing sophisticated dishes with a relaxed urban ambience and true hospitality makes the Hudson one of the best restaurants in Sedona. The Hudson's menu combines simple and hearty dishes catering to foodies all over the country and the world. Menu items like the Steamed Mussels and Fireball Chicken Wings are a great way to start your meal at the Hudson, while house specialties like the Pan Seared Rainbow Trout and Prickly Pear BBQ Baby Back Ribs provide a flavor profile unlike any other. The extensive menu at this joint also has burgers, sandwiches, bruschetta, and refreshing salads. At the Wildflower Bread Company, they believe that a restaurant's success all boils down to three simple things: outstanding cuisine, genuine service, and an impeccably kept restaurant. Though accomplishing these three things is easier said than done, the Wildflower Bread Company not only does it well, it does it in a spectacular fashion. The Wildflower features an atmosphere that is welcoming, relaxing, and contemporary all at once with creative color schemes and décor that showcases local talent. At the end of the day, however, the Wildflower puts the most effort into its food. 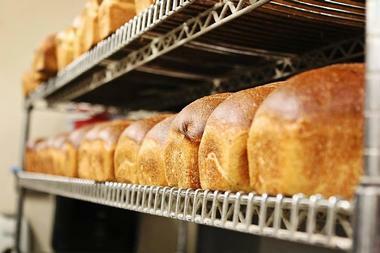 The Wildflower Bread Company works hard to ensure that all of its food is served fresh and made with read ingredients. To put it simply, if the taste of a particular dish isn't memorable, then it's going back to the drawing board. Breakfast, brunch, lunch, and dinner offerings are available on the Wildflower's menu alongside snacks, appetizers, desserts, and beverages. Guests at the wildflower can look forward to baked goods that are made fresh daily among other delectable things.